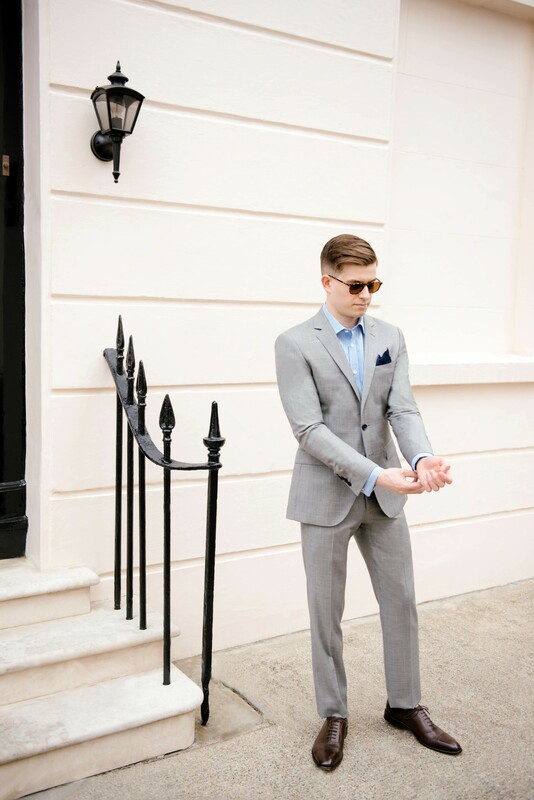 Summer tailoring has always been something of a problem for me. 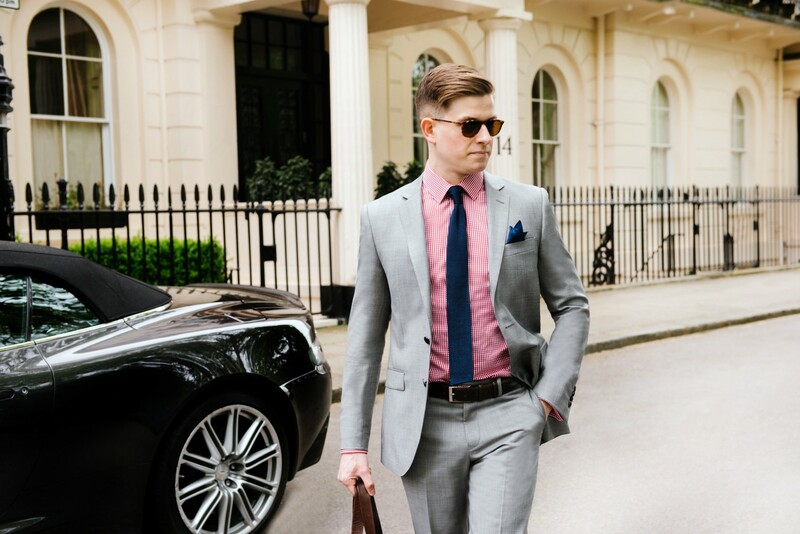 Often it takes bold use of colour, accessories and clever detailing to create an outfit that looks effortlessly dapper and suitable for the summer season. 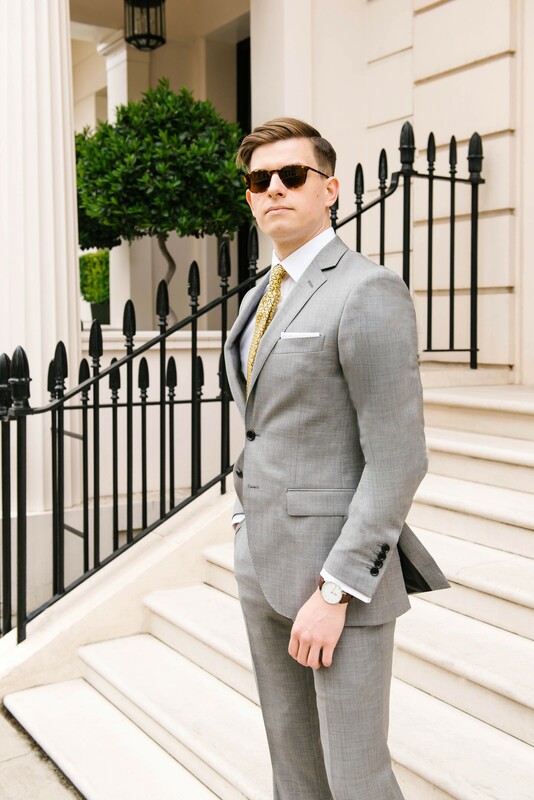 Fortunately, with the help of Hawes & Curtis, I had the opportunity to create three different tailored looks for summer that only use one suit but incorporate different elements and accessories for different styles. You can see them below and leave a comment with your feedback on the outfits. 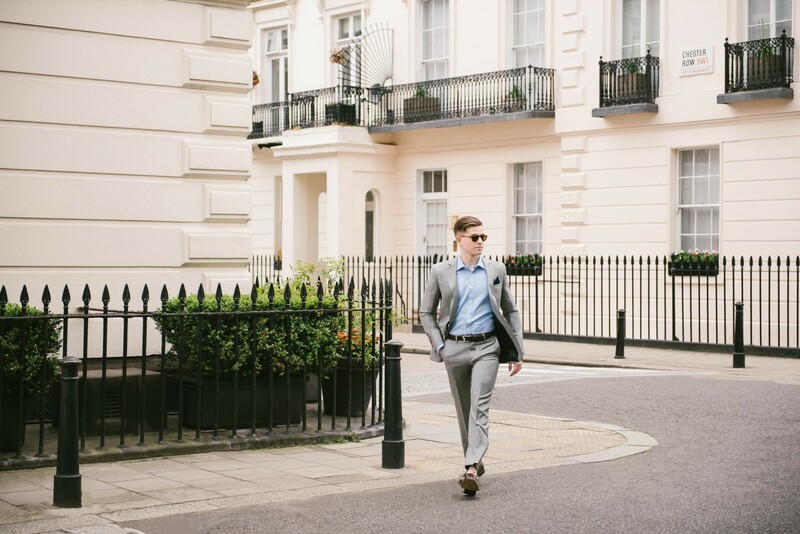 You can also check out the full Summer Tailoring Style guide Hawes & Curtis created based around this shoot, to purchase the outfits or any of the individual items used. 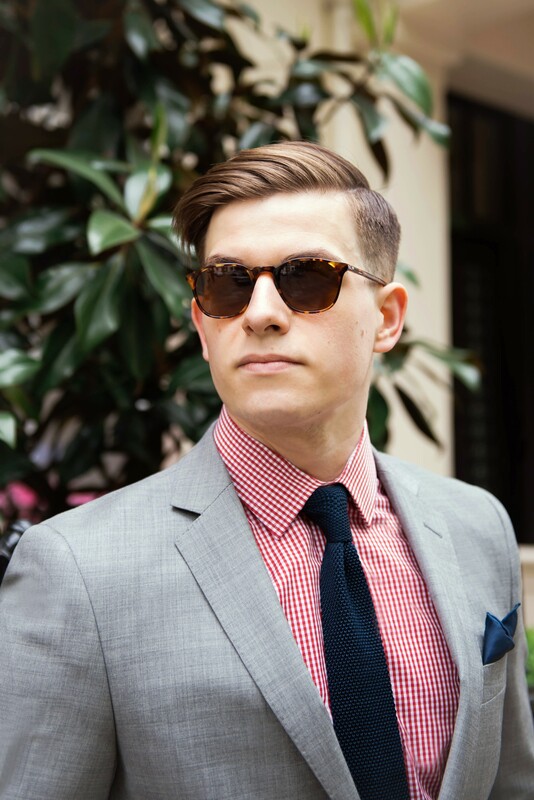 This was the first style I wanted to create and involved using modern style ideas, like the red gingham shirt and knitted tie, to create a look that is effortlessly elegant and sharp. An element that I first envisioned for the this outfit but ultimately became a part of all three was not wearing socks with the shoes to add a subtle summer feel to the ensemble. I rarely match my pocket square to my tie but in this scenario it seemed to work wonderfully with the red and the grey, using a three-point fold to include a dash of eccentricity. This was a much simpler look that uses a much more subtle gingham shirt to add definition to the outfit as an interesting variation on the standard pale blue shirt. 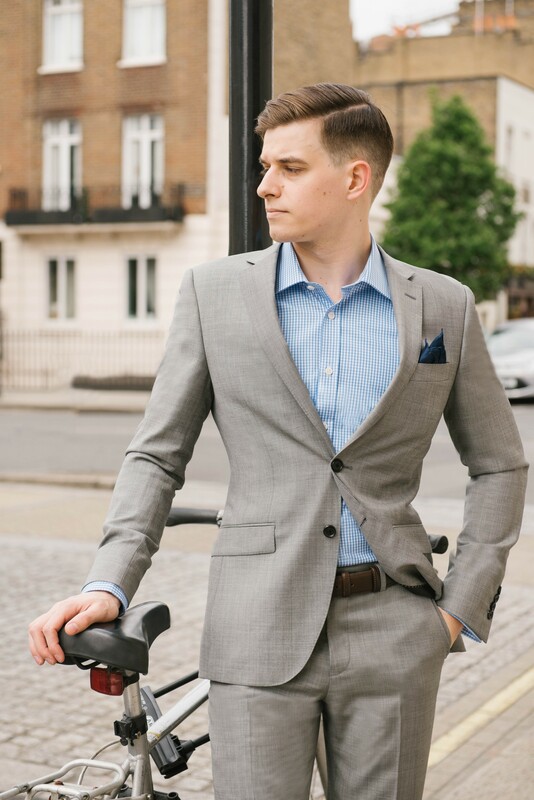 Although a little more casual than the other two looks, the patterned blue works well with the slim cut style and light grey of the suit. I feel this outfit is the most accessible of the 3 for those of you who may be a little cautious about the bolder colours or styles, easy to wear and simple to add to if you want to bring in some of your own character. 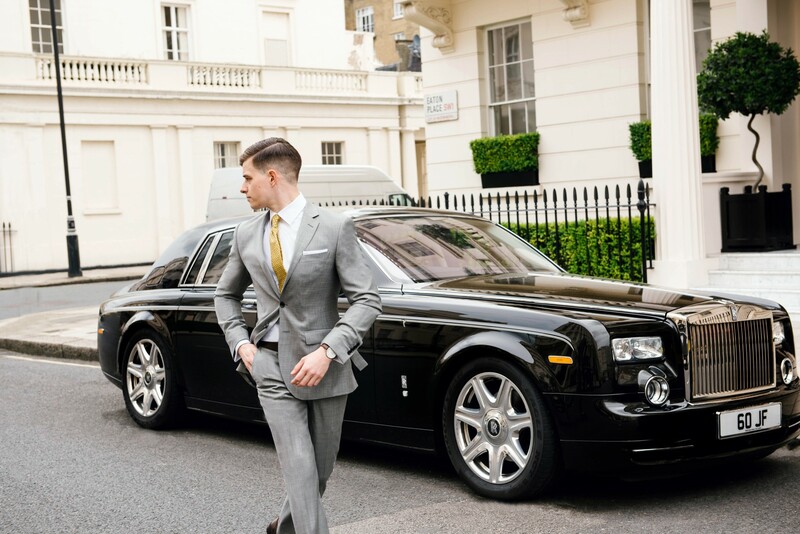 This look was very much playing to my usual style, using classic themes often seen in Mad Men and alike to build an outfit with class and a touch of high society. 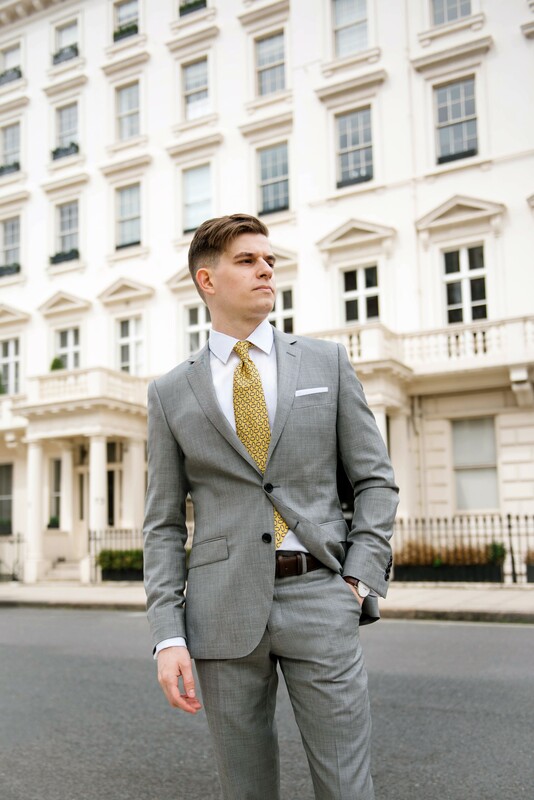 The gold tie with navy pattern adds beautifully luxurious detail to what would initially be a simple outfit with the white shirt and grey suit. In terms of the pocket square, I wanted to keep a flat fold to create a clean-cut look that maintains a Don Draper-esque style and compliments the contrast the shirt and tie created. Thanks for checking out the post and make sure to let me know what you think of my outfits in the comments section. You can also sign-up to be notified of new posts and follow The Male Stylist activity. 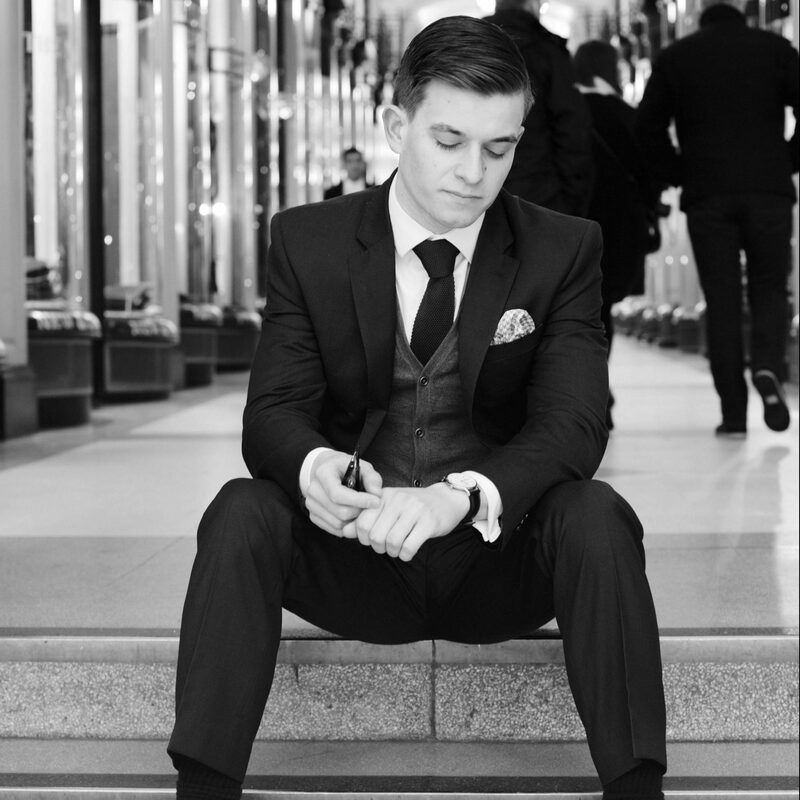 Also, don’t forget to follow me on Twitter or Instagram for style inspiration, gentleman’s musings and general fun.